Register for the 2019 Moraga 4th of July Fun Run today! 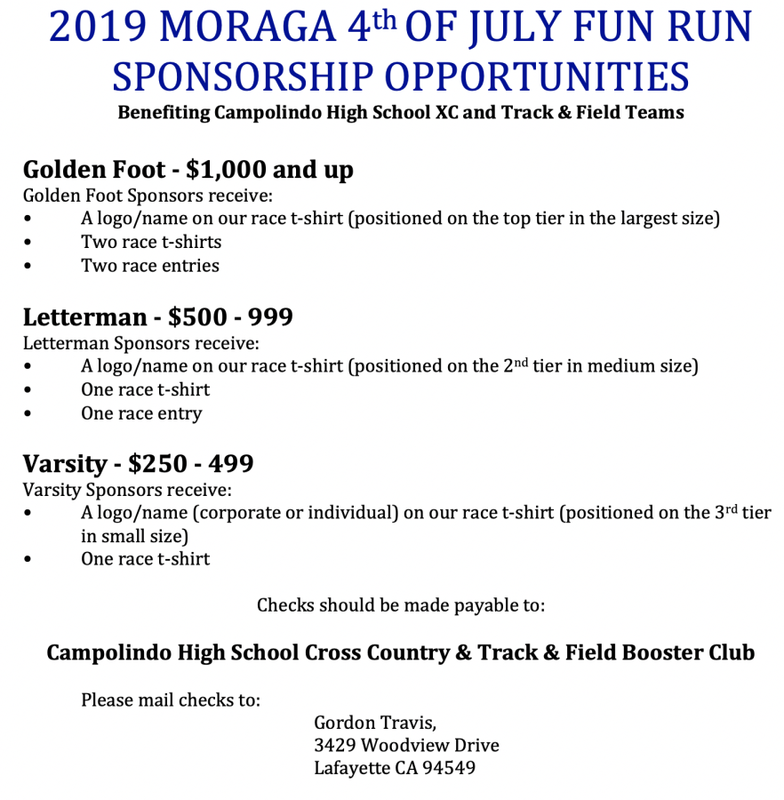 Every year the Campolindo Track and Field and Cross Country programs sponsor the Moraga 4th of July Fun Run event. These races kick off many of the activities that are part of the Town of Moraga's 4th of July celebration. The net proceeds from these runs again will be going to the Campolindo Track & Field and Cross Country programs.